Simon has a strong Consulting background after nine years as a Managing Consultant at one of the main Accounting Firms earlier in his career. He has over ten years’ experience at Director Level or above at Investment Banks (including Deutsche and UBS) as Global Head of various Operations functions (e.g. Post-Settlement Operations; Traded Derivatives). Having taken on a portfolio career since 2006 he has worked at a number of key Financial Market Infrastructures as a Consultant and Interim C level Executive. 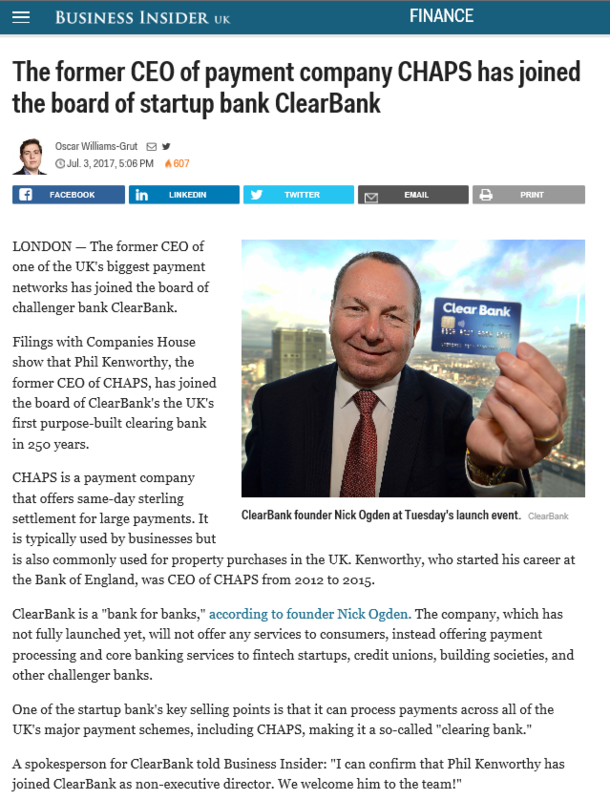 Placements include CLS (global FX Settlement Body) and CHAPS (the UK's High Value Payment System). Simon has extremely strong Stakeholder Management and Relationship skills. Chris’ career has focused exclusively on the Financial Services sector. Since 1998, he has operated as a freelance Change & Transformation Consultant, and led and influenced projects across the Retail, Wholesale, Investment and Asset Management arenas. Clients have included RBS/NWB; Lloyds; JP Morgan; UBS; Santander; TAM, Aviva and the CHAPS Clearing Company. He has extensive knowledge and experience of Business Transformation and underlying Project/Change Management. Chris has strong people management skills. Working with, encouraging, motivating and carrying people with him, is part and parcel of his personality, influencing everything he does. With 28 years experience in the Financial Services sector Giles has worked within the retail banking, investment banking and the payment service operator spaces. For 10 years he has been a freelance consultant covering a diverse range of engagements including; software delivery management, target operating model planning and implementation, data/MI reporting and cash management / intraday liquidity activities. He is a delivery focused change specialist with a core background in payment systems and banking treasuries. He has worked within front, middle & back offices and IT for a number of major global banking entities such as Barclays, RBS and CSFB. Giles is a people person and building relationships and developing trust are his core drivers. Please contact us on enquiries@paymentsystemsconsultancy.com for more details.